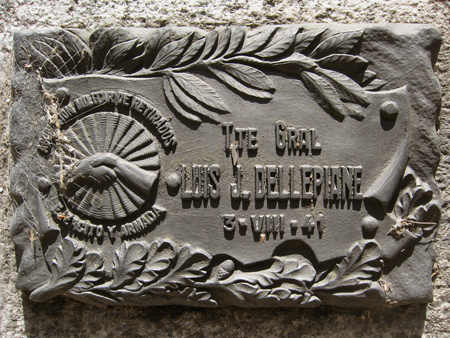 Lots of Dellepiane tombs are scattered through the cemetery, but this vault holds two of the most important family members. 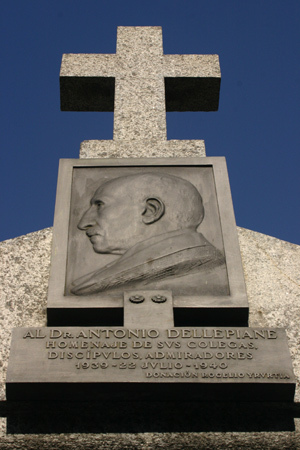 Antonio Dellepiane chose not to practice law after graduating with honors & much praise in 1892. Instead, he focused on education in criminology. 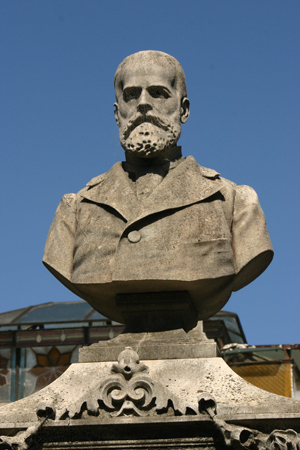 As first professor of the newly-established Sociology department at the Universidad de Buenos Aires, Antonio traveled to Europe to bring back the latest theories & teachings to Argentina. 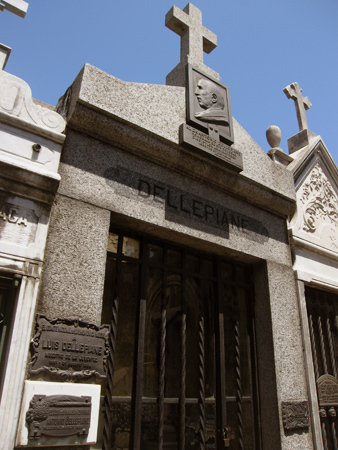 During the 1919 Semana Trágica, Lieutenant General Luis J. Dellepiane restored order to Buenos Aires after a metalworkers’ union strike spiraled out of control. 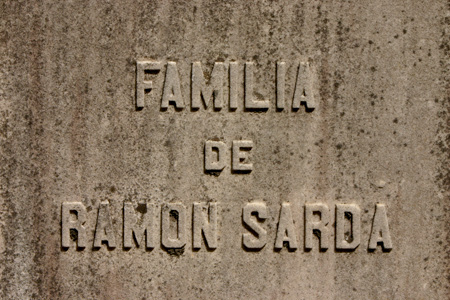 He had previously been in charge of the city’s police force after the 1909 assassination of Ramón Falcón & remained in that position until 1912. 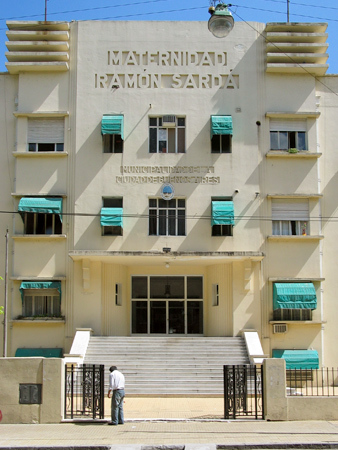 By 1919, Luis had assumed command of the Second Division of the Argentine army stationed in Campo de Mayo. 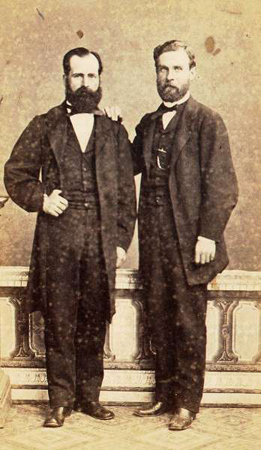 Luis marched his troops into Buenos Aires to engage striking workers at the request of the Minister of War. 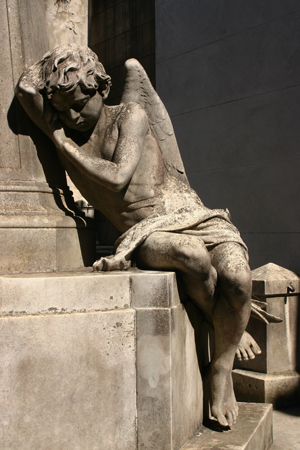 Violence continued & almost 1,000 people died in the most violent social uprising ever seen in the city. Thanks to some helpful people at the Province of Santa Fe historical society, I learned that Ventura Coll was a doctor there, somewhere in the province… that’s all anyone knew about his life. But Ventura’s sister, Victoria Coll, married Joaquín Marull & had a daughter named Delfina. 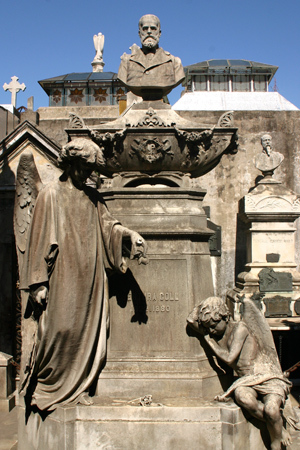 Delfina married Ramón, so that’s how the Sardá line also wound up in Recoleta Cemetery with the Colls.